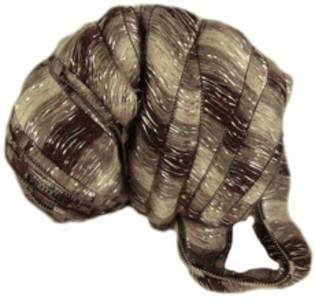 Woolcraft Tango Glitz 2146 in shades on light brown, grey and ecru. 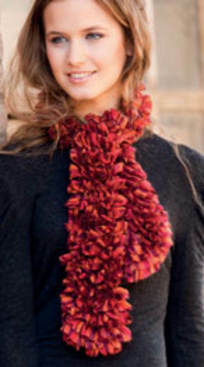 Make a stunning ruffled scarf from just one ball on 5-5.5mm needles. Machine washable 40'. 98% acrylic/ 2% polyester. 100g/ 45m per ball.